New build housing estate in Easton, Wells. Easton Grange is a development of nine new build properties. The design and materials used reflect the existing village aesthetic and are constructed using locally sourced, natural materials. 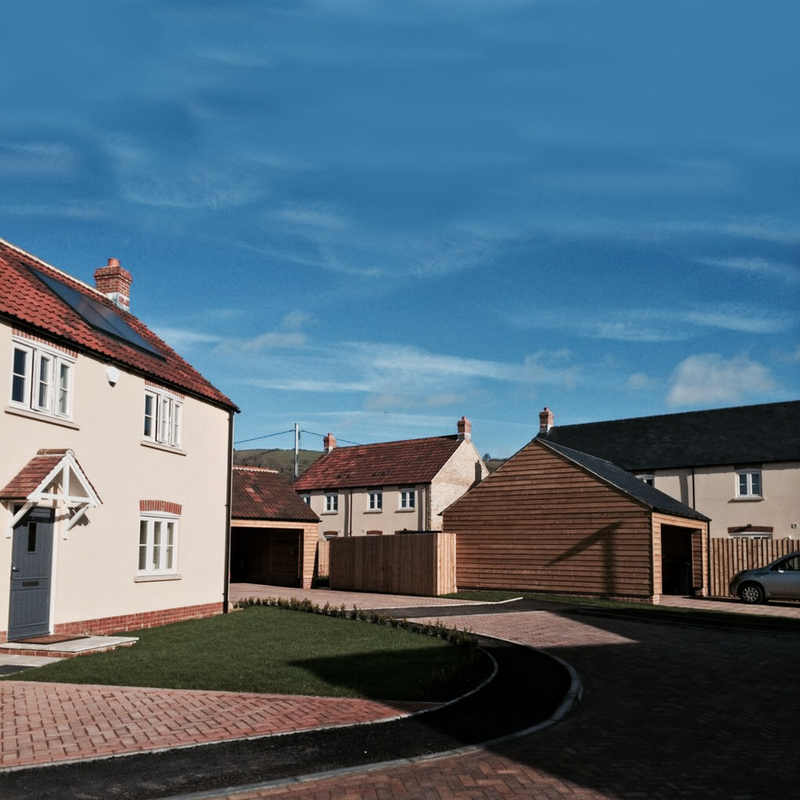 This development won the ‘Best High Volume New Housing Development 8 units or more’ at the Mendip District Council Best in Quality Awards 2014, and was Highly Commended for 'Planning Excellence'.